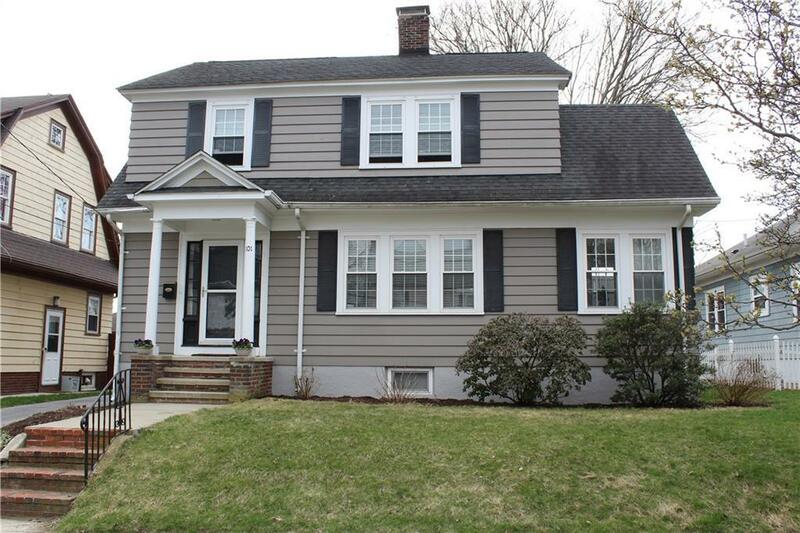 Beautiful family colonial in friendly, walkable neighborhood. Commuter friendly, close to Roger Williams Park. Updated kitchen and bathrooms, fresh paint inside and out. Tons of natural light, bonus sun room and double pain vinyl windows. Hardwood floors throughout, wood fireplace, granite countertops, and SS appliances. Walk-in closet in master bedroom. Finished attic; potential in-law lower level. Large fenced in yard with plenty of parking and a detached garage. Well cared for and move in ready.